The Federal Transit Administration (FTA) has asked APTA to communicate its guidance for bus manufacturers in counting jobs created and supported through American Recovery and Reinvestment Act (ARRA) grants. Amtrak Vice President for Policy and Development Stephen Gardner was the guest speaker at APTA's Transportation Tuesday on January 5 at the APTA offices in Washington. He described a future in which rail manufacturing serves as a "bedrock of domestic manufacturing"--made possible by unprecedented federal investment. Gardner noted that appropriated funds, as well as those from the American Recovery and Reinvestment Act, total approximately $15 billion for intercity and high-speed rail. APTA has launched a new web site, www.highspeedrailonline.org, to bring together all the information and resources to make high-speed rail a reality. With the Senate in recess until January 19, APTA members now have even more time to meet with members of Congress in their home districts, through Telling Our Story District Days. The APTA web site has an updated selection of tools to use in advocating for the investment critical to the success of our industry. 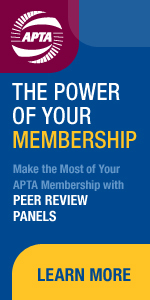 The shortest month of the year is nonetheless long on opportunities to learn, share knowledge, and network with others in the public transit community--through any of several APTA conferences. There is still time to register for the high-speed rail practicums to be held throughout the month, in Washington, Chicago, and Los Angeles. The final week of February includes the Marketing and Communications Workshop (February 21-24), the Legal Affairs Seminar (February 21-23), and TransITech Conference (February 23-26). Vice-President Joe Biden shared his enthusiasm for rail transit in the latest issue of Amtrak's Arrive magazine. Bloomberg News discussed the new passenger rail car standard taking effect in March. The New York Times' City Room Blog described the new transportation hub completed in Brooklyn, serving both Long Island Railroad and the New York Metropolitan Transit Authority.